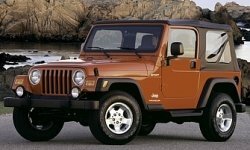 The Sport Package was available during the entire generation of the TJ / LJ and was considered the middle of the road option. This is because although stock the Sport package came with a Dana 35 rear axle, a Dana 44 upgrade with a 3.73 ratio was available. This axle could also be further upgraded to include a Trac-Lok limited slip differential case. Another option with the Sport Trim was a larger 30” tire and wheel group. The 4.0L V6 was standard on all Sport packages. Why buy a Sport Trim package? Purchasing a Sport package with the optional Dana 44 axle is a good move if the owner is looking for some immediate off-roading capability while still saving some money. 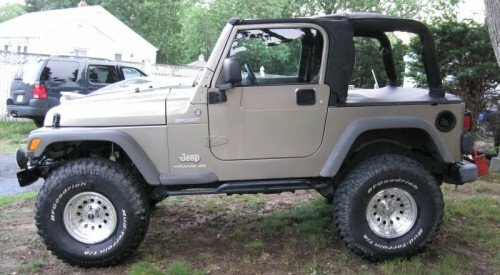 This Jeep could run 33-35 inch tires decently without much more than a suspension lift. 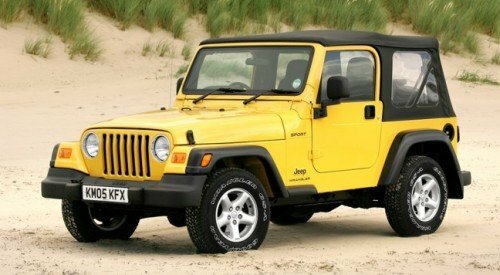 It is a good starting point for an enthusiast looking to get into Jeeping at a low price point and build slowly over time while learning.